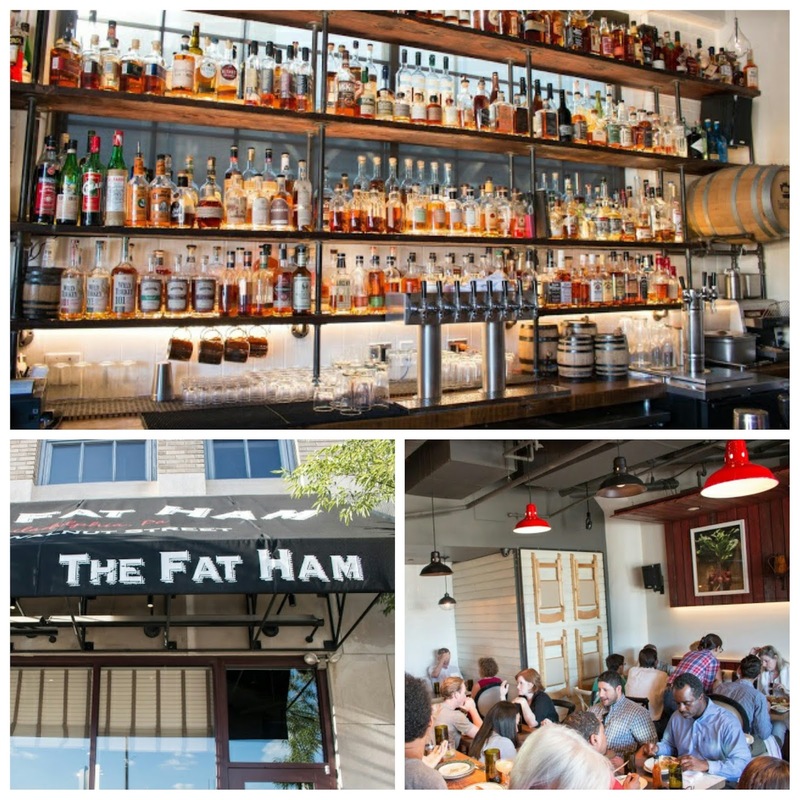 I've been meaning to stop by the Fat Ham for awhile. But frankly and shamefully, I tend to stay within the corridor of Center City proper. And while the Fat Ham recently hopped on the Reserve bandwagon, the inability to reserve a table previously resulted in a few unsuccessful waits that were over an hour long. Granted heading over during the Happy Hour rush isn't the best strategy and it's not to say we didn't enjoy ourselves while we attempted to be seated for a table. 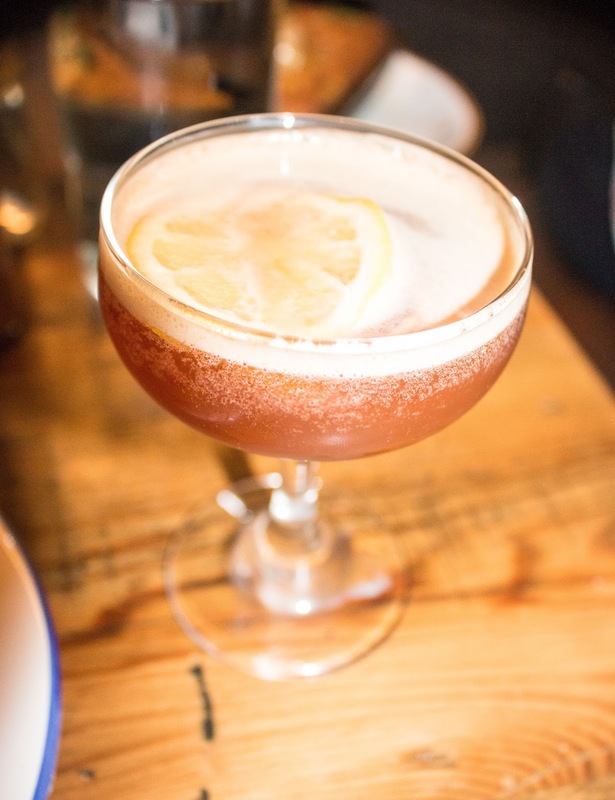 With a fairly extensive bourbon list and with great cocktails, what's not to like? The interior is wonderfully designed, with a quaint Southern feel and a gorgeous bar wall. 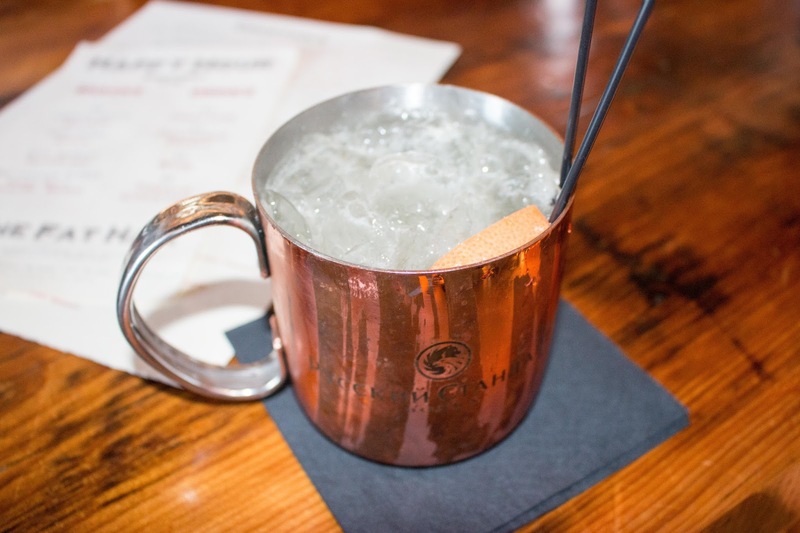 Speaking of drinks do try their take on the mule, which features basil and grapefruit-infused vodka, ginger beer, and citrus. Subtly sweet, this was light and refreshing. The Diamondback featured Old Overholt, with the apple brandy smoothing things out. 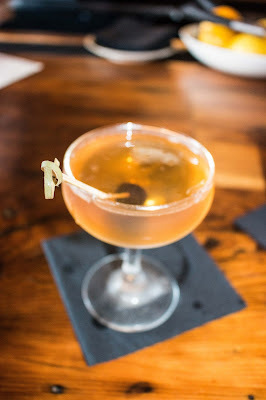 The sweetness of the chartreuse helped it along, with some spice coming through from the rye whiskey. Pro-tip: If the weather's nice, be sure to enjoy a drink on the front porch! The best tip though? Head over for their weekly Sunday Suppers - a steal of a deal at $30 pp for 9+ dishes from Kevin Sbraga. And with the ability to make a reservation using the Reserve app, there's no excuse now! Fair warning - the dishes come out as soon as they're executed by the kitchen so be prepared for an onslaught of food! 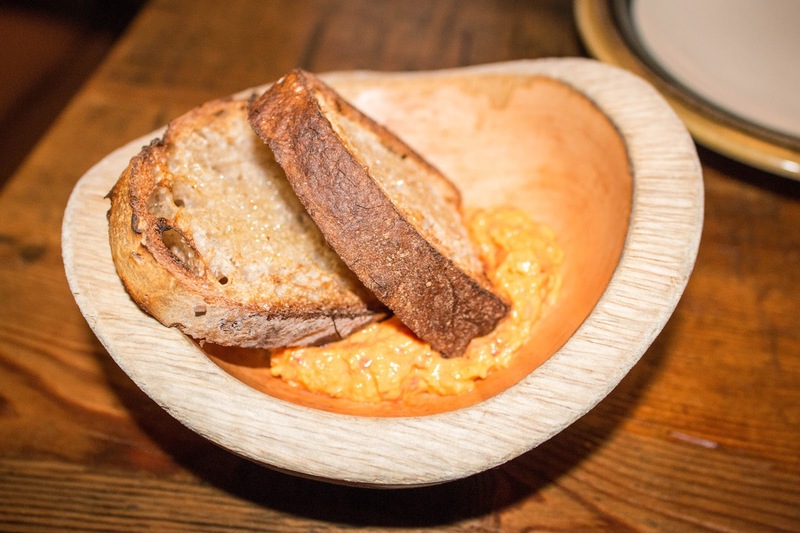 You'll likely start off with the pimento cheese along with some lightly buttered and hearty country bread. The perfect vessel for the slightly smoky, sharp, and peppery pimento cheese. 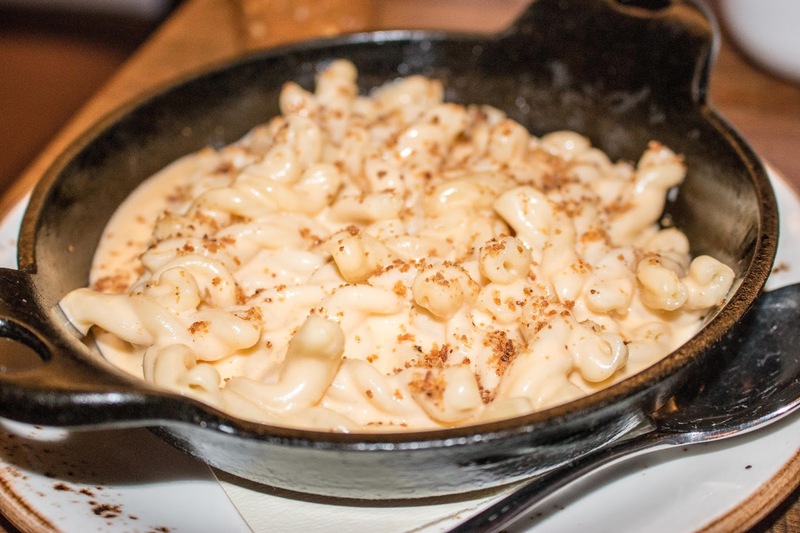 It's no wonder it's a favorite bite during Happy Hour! The squash dumplings reminded me of spaetzle. Tender and emanating squash essence, the tart Granny Smith apples were a nice counterpoint, with the toasted pecans providing texture. 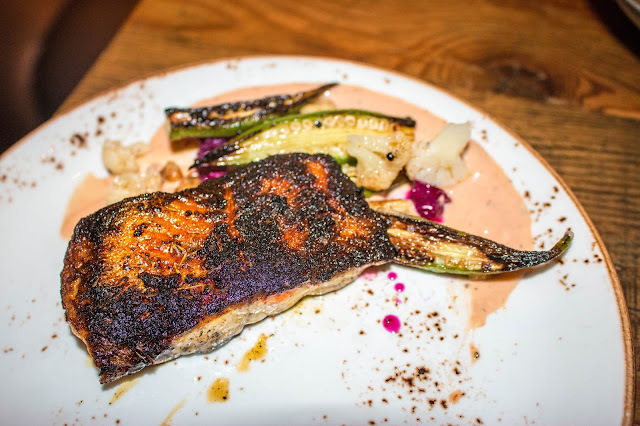 The catfish was moist and well-seasoned with blackened spice. The okra was expertly cooked, without much of the mucilaginous texture one usually associates with the greens. The "comeback" sauce had a nice bit of heat that played well with the components of the dish. The No. 20 was nicely citrus forward, with a great juxtaposition of Italian apertifs and digestifs. 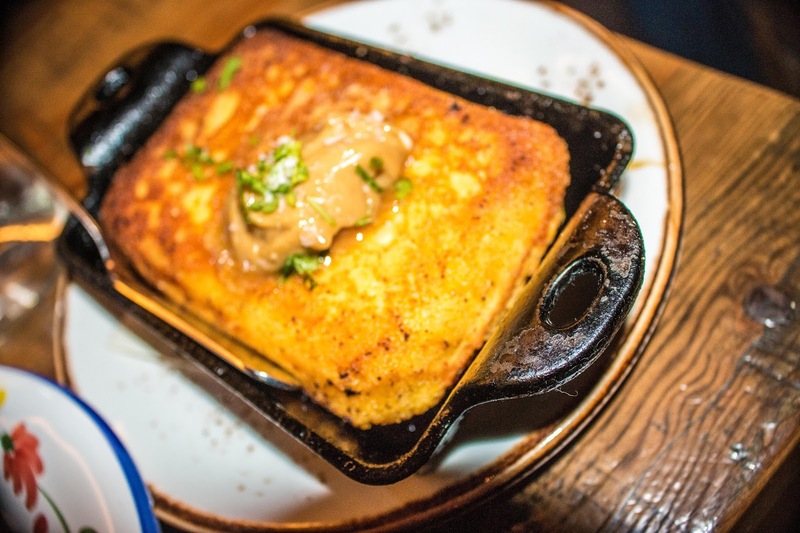 You'll also likely receive the cornbread and for good reason. The crisp edges were where it was at, with the sweetness of the corn coming through. Slathered in the gorgeous tasso molasses butter? Let's just say it was hard not to inhale the entirety of the cornbread in a single bite. With Fat Ham's take on mac, there was great bite to the noodles, which were dripping in liquid gold. The buttered bread crumbs offered nice texture. 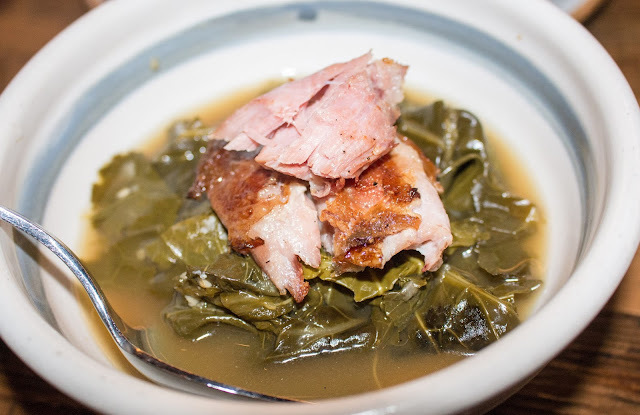 A wonderful counterpoint to the richness of the supper, the vinegary collards were much needed and especially enjoyed. That's not to say that there weren't any tender pieces of pork shank topping the dish. I couldn't help but slurp some of that potlikker broth as well. Easily my choice of palate cleanser. 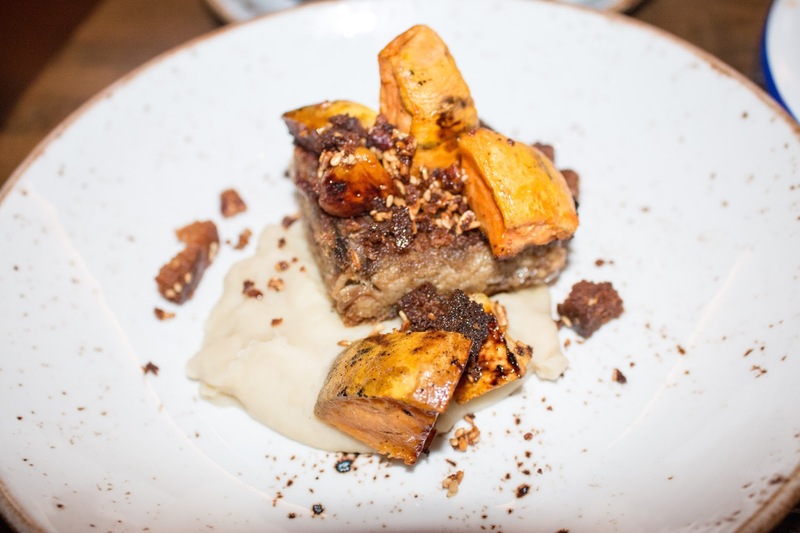 The gorgeous hunk of savory, smoky and tender pork had a nice interplay with the sweet potato. The bits of granola offered some sweet balance in partnership with the parsnip puree underneath. 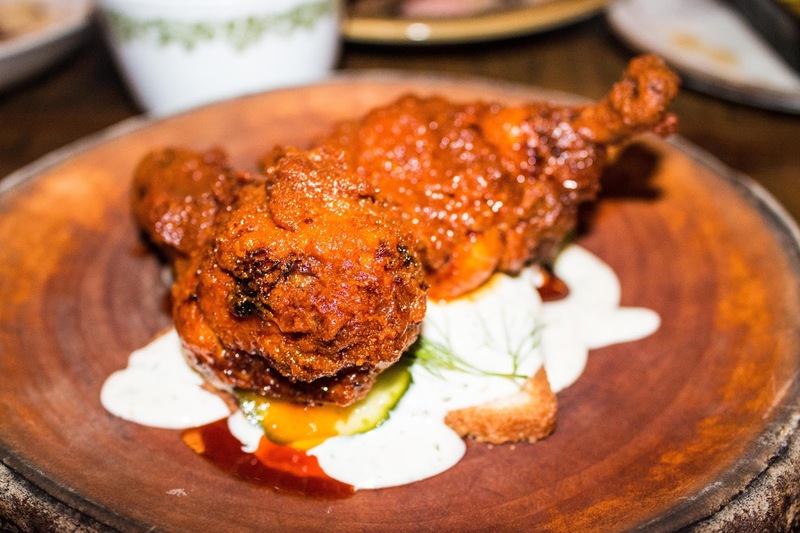 There's a reason hot chicken is the Fat Ham's most celebrated dish and is essentially becoming the new pork belly. The chicken was moist and expertly fried with a great crisp. But the star is that cayenne-saturated heat, which will creep up on you! The dill pickles were much needed, attempting to provide some vinegary balance. I also appreciated the thin toasted brioche which had enough substance to stand up to being inundated with the ranch and spice-laden sauce. Much better than simple sandwich bread. Expect the spice sweats - that's a good thing! 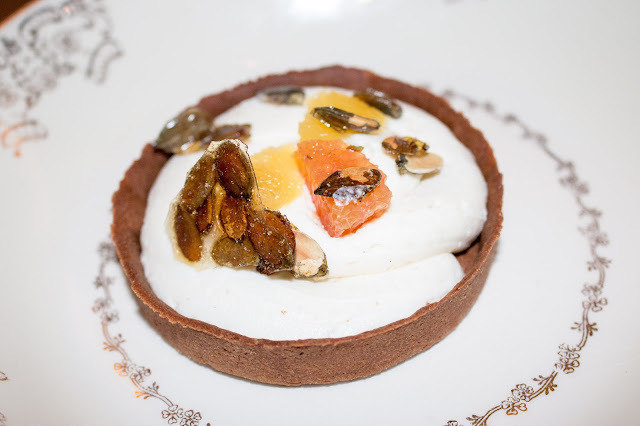 Our dessert was a gingersnap tart that featured the spice within the crust. Wonderful palate cleanser. The eggnog lightly permeated the cream, with the candied citrus elements brightening up each bite. Hat's off to the staff on this particular night. 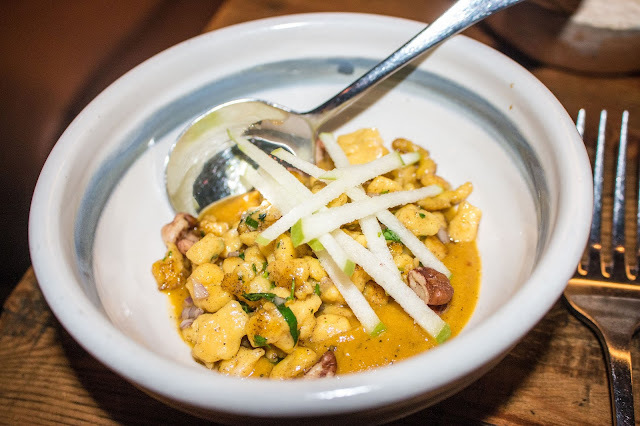 While the initial onslaught of dishes was a bit jarring at first, the fact that one server and manager were taking are of all the diners at a relatively relaxed and comfortable pace was commendable. And perfectly delicious execution at $30 pp? There's no fault there! Highly recommend the Fat Ham's Sunday Supper - I know I'll be back!